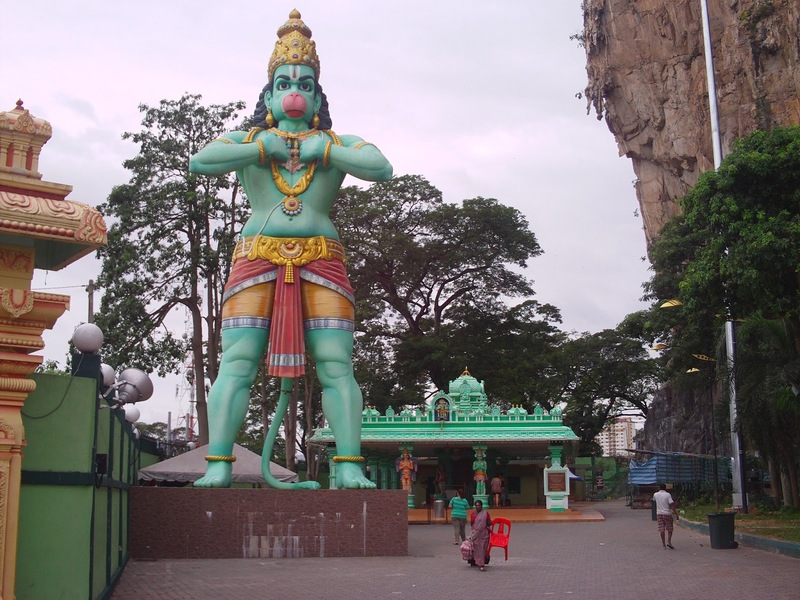 Batu Caves Hanuman temple is resided at the compound of Batu Caves Sri Subramaniyar Swamy Devasthanam which is a very famous temple in Malaysia especially during festive seasons like Thaipusam. 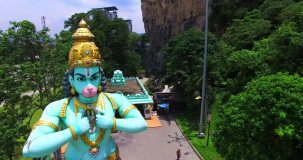 Dating back to 400 million years, Batu Caves are actually limestone caves formed within three sandwiched hillocks the name comes from the Malay word for rock and/or from the neighboring Batu River. 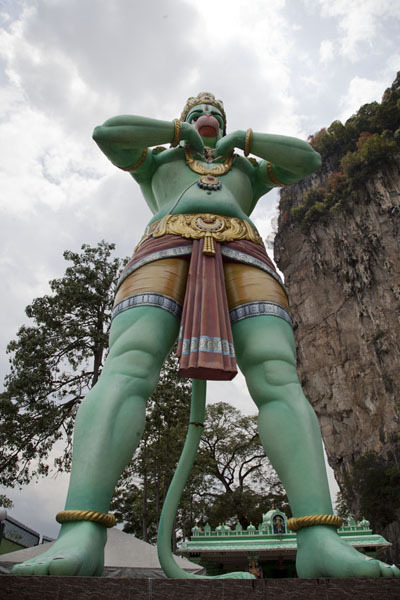 Centuries ago this location was the transit place for indigenous Malay tribes for their hunting trips. Later the then-Chinese settlers made use of these caves to make fertilizer from bat-droppings for their agricultural needs. But this spot remained hidden' to the outside world until discovered' by British explorers in the late 19th century. 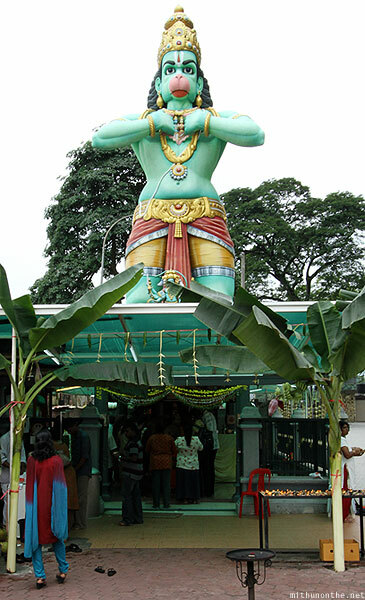 but was later relocated few meters away to make way and provide a bigger area so that devotees are able to pray with a more comfortable space.